Learn how to reduce stress, preserve benefits and create a fulfilling future. Rob Wrubel is working on his next book for families with special-needs members and is seeking your help to educate and entertain other families. His next book on planning will include stories from parents, caregivers and others helping to make the life of a person with an intellectual or developmental disability better. His book will highlight planning, financial and legal successes and mistakes through the use of stories and anecdotes. Financial Freedom for Special Needs Families-9 Building Blocks to Preserve Benefits, Reduce Stress and Create a Fulfilling Financial Future is a comprehensive planning guide designed to give you the ideas and tools needed to create a financial and legal plan for your family. Simple worksheets help you make choices at each decision step so you can put your plans in place quickly. When you follow the simple steps in this invaluable planning guide, you will learn how to set up a special-needs trust, get out of debt and fund an incredible future for your family. Understand special needs-trusts and how to have yours in place in 30 days. Rob Wrubel’s Protect Your Family is a powerful and easy-to-read book helping you make the most of taking care of your family. If you are confused about what type of life insurance to buy for your family, buy Protect Your Family. 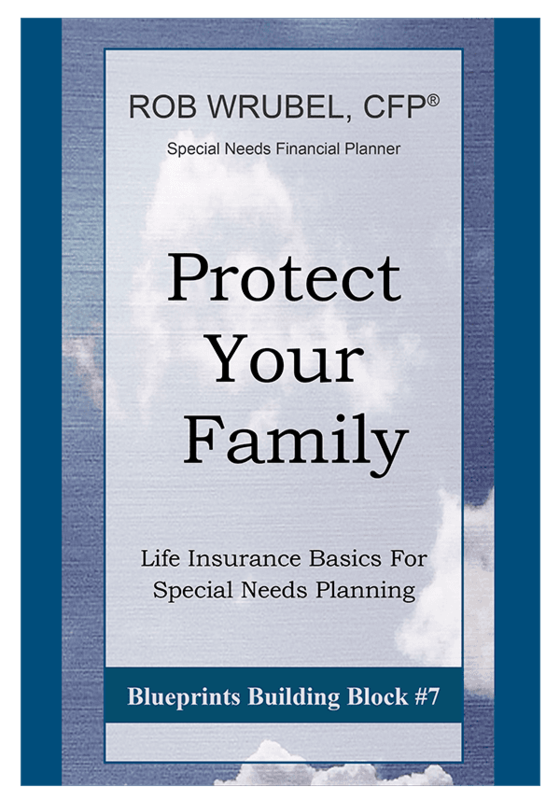 This book includes worksheets to help you decide how much life insurance to buy. It then shows the differences between term insurance and other types of policies. There is no sales pitch or emotional pressure, just facts about the different types of life insurance and how they work. This book shows you why investing outside life insurance can be so much more profitable than inside insurance. It shows that taxes are important, but that the real world policy costs of certain types of insurance are more expensive than paying the tax. Rob’s goal with his books and speaking is to help you make decisions to live the life of your dreams, increase your quality of life and provide a secure and happy future for your family member with a developmental or intellectual disability. 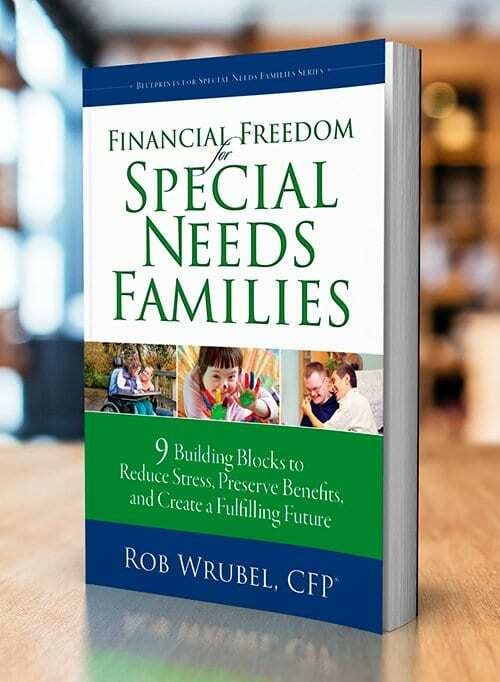 Rob Wrubel has engineered a clear pathway for families with special needs members to gain control over their finances. His book is both motivating and encouraging, and helps remove fear and indecision with clear and concise action items.